Surrounding water views shine​ ​into​ ​the living area, formal dining room and the main​ ​kitchens, designed for family gatherings and corporate events alike. The second kitchen, meanwhile, offers a convenient food preparation area and wait staff station. Coloured with stunning artwork and custom-made furniture, this home has it all including spacious private office, a guest bathroom and adjoining gym.​ ​Stepping through glass doors on to the 50sqm north-facing entertaining dec​k is an inviting 6.5​m​ gas-heated pool overlooking the harbour. At 70m in length​, ​The Wharf Birchgrove​ boasts Sydney Harbour’s largest private wharf, and dotted with antique fixtures harking back to its genesis in 1946. Crafted in Norway, the MV Birchgrove is in pristine condition and the only vessel of its kind in Australia. Your captain and resident concierge loves throwing private dinners or hosting luxury cruises - BYO food and drink on board this charter. Birchgrove is steeped in history the local football oval hosted the first​ officiated​ National Rugby League match played in Australia and is home to Judy Davis, Bryan Brown and many famous Australian actors. 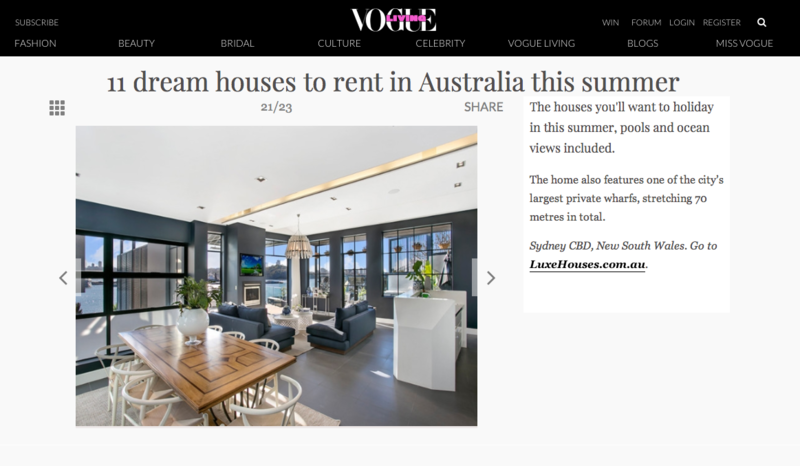 It also neighbour​s ​the inner city hot spot suburb of Balmain​, with ​​its ​stylish restaurants, ​colourful ​markets and bouti​q​ues and more refurbished old pubs that any other suburb in Australia. 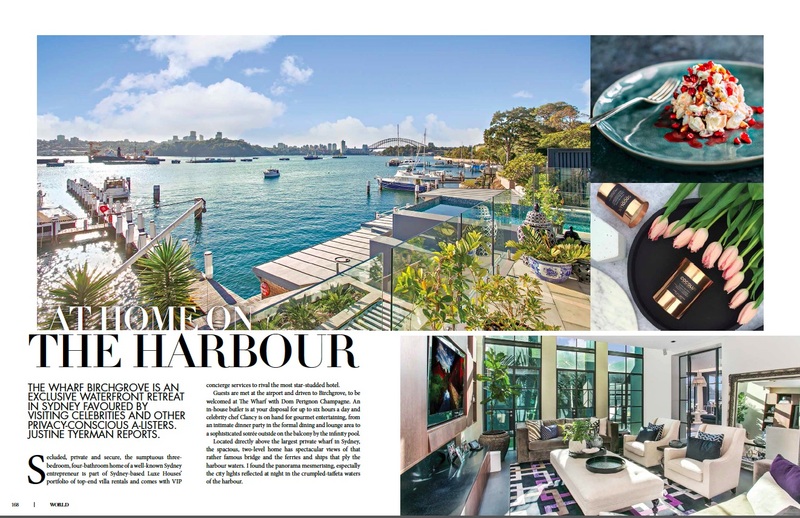 The Wharf Birchgrove as recently featured in Vogue Living. This home features one of the city’s largest private wharfs, stretching 70 metres in total. Welcome, to The Wharf Birchgrove Butler and Boat Experience. Whether the day calls for a sunset sail, champagne and seafood lunch, fishing expedition, whale watching (seasonal) or a harbour swim adventure? Castaway, with Captain Luke on Sydney’s stunning waterways. 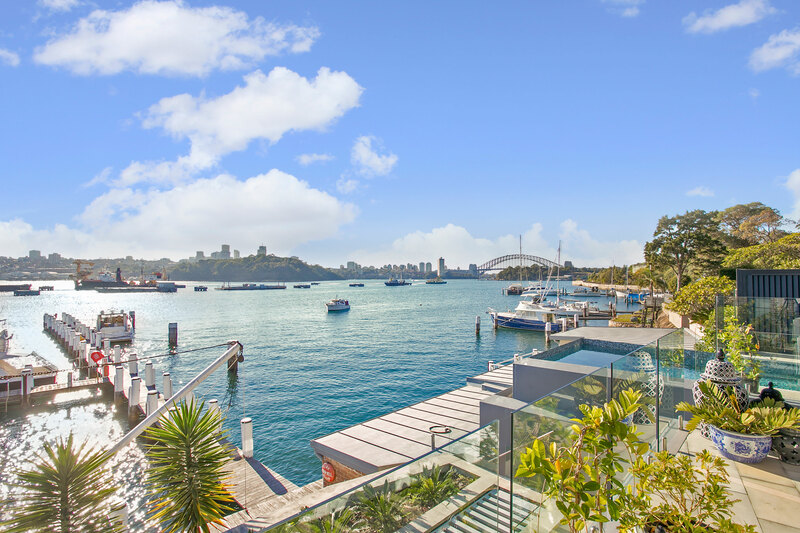 Plan ahead, drop your suitcases on check-in and head straight to The Wharf Birchgrove ‘s private jetty. From the house jump aboard within minutes! The Wharf Birchgrove includes a daily butler service for up to 6 hours, a housekeeping and turndown service, food shopping and preparation chef. And a two hour sunset cruise on board Birchgrove MV with bottle of Moet. Where your concierge, chef and boat captain awaits for your Sydney Harbour experience. This is the largest private wharf on Sydney Harbour. Your ride the MV Birchgrove is crafted in Norway, is in pristine condition and the only vessel of its kind in Australia. Its award winning design offers guests the ultimate cruising experience with luxurious appointments throughout. Below the deck is state of the art equipment capable of taking guests on exhilarating day rides or overnight adventures (hot water showers, air conditioning, Foxtel, WIFI and Bose entertainment systems). Board at King Street Wharf, Double Bay, Rose Bay, Darling Harbour, The Star or a number of other locations. Cruise to Venturo Pizzeria Enoteca Birreria in Walsh Bay where food is brought aboard. Continue cruising whilst lunching on the generous sized deck winding through the eastern suburbs bays taking in beautiful harbor sites. Once at the eastern most bay; Watson’s Bay a change of pace to a high speed crossing of the harbor to Middle Cove taking in the sights of south and north head, manly and middle head. Located in the middle harbor region are numerous swimming spots being Grotto Point, Clontarf Reserve and Cobblers Beach. Your Crew anchors the vessel and extends the swim ladder; take in the sun and a few drinks on the deck and have a dip. Use the onboard entertainment system to play some tunes off your phone.